Not Eating — Obviously, this is a concerning symptom. As newborns tend to feed 2-4 times a day, they rely on that regular, constant stream of nutrition. You shouldn’t wait too many missed meals before making an appointment with a doctor. Fever — This is an all too common symptom in children. In fact, it’s a sign that your child’s immune system is fighting off infections, which is a good thing. Therefore, you should use your own judgement when deciding to make a trip to the doctor; the higher the fever (99.5 degrees might be considered low, and 104 would be an extreme emergency, for example) and the longer it lasts, the more likely it is you need to get your child some professional healthcare. The exception is when your child is under 3 months old. In this case, even if the fever is low, take your child to the doctor immediately. Vomiting/Diarrhea — Like a fever, these symptoms are inevitable. If they don’t last, then they’re nothing to worry about. However, when they do persist, then your child runs the risk of getting dehydrated. Give them lots of water and get ready for that doctors trip! Coughing/Phlegm — Except for babies under 3 months, you don’t need to worry much about a cough alone unless it’s either extreme (hacking, often, and debilitating) or long lasting. If your child is having trouble breathing or exhibits other major symptoms, take them to the doctor immediately. Rashes — Rashes aren’t something to get too worried about on their own. However, when combined with fatigue or bruises it can be a sign of something more serious. As with most of these entries, just use your best judgement based on severity. Abdominal Pain — This one is tricky, as your child just could have eaten something they disagreed with, or it could be a symptom of something worse. If the pain is exclusively on the right side, it might be a sign of an inflamed appendix. Cyanosis (Blue Lips) — Blue lips are a sign that your child isn’t getting enough oxygen. 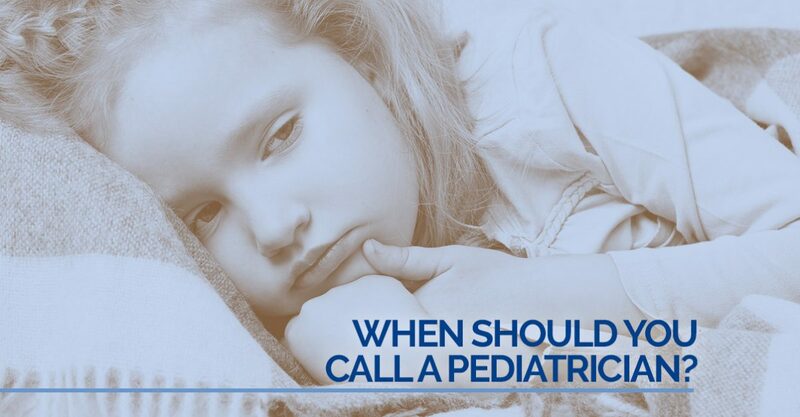 If you see this symptom in your child, call 911 immediately, as time may be of the essence. Jaundice (Yellow Skin) — This yellowing of the skin can be a serious symptom, but isn’t always. If it’s not serious, your doctor may recommend feeding your baby more to get rid of excess bilirubin (the chemical making your baby’s skin yellow). Green Bile — While throwing up is relatively normal, throwing up green bile can be a serious symptom. It might point to an intestinal blockage, which needs to be attended to right away. Additionally, throwing up after a head injury is also a serious symptom that requires immediate attention. Anaphylaxis (Allergic Reaction) — If your baby’s lips, tongue, or cheeks get excessively swollen, it could be a serious allergic reaction, something that needs treatment immediately. Your doctor will probably give your child a shot from an epi-pen. Ongoing Bleeding — If a wound will not stop bleeding, even after minutes of applied pressure, it’s a good idea to see your doctor. Additionally, if any kind of animal (domestic or feral) ever bites your child, make sure to have it checked out immediately. Seizure — A child’s seizure is an extremely jarring event for a parent to watch, but it might not always be as serious as it looks. The best course of action is to take your child to a doctor immediately after the first sign of a seizure so that they can assess its cause. We know how much your child means to you, and how easy it can be to freak out when it seems they might be in danger. Here at Alaska Pediatric Surgery, we want your child to be happy and healthy. We’ll do our utmost to that end. If you have any questions about your child’s health, feel free to give one of our friendly representatives a call. They’ll be happy to get you in touch with any information you need, or schedule an appointment if necessary.